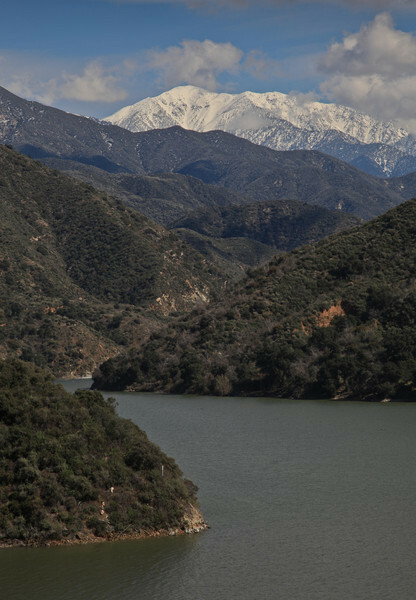 Snow capped Mt Baldy in the distance from the banks of the San Gabriel Reservoir. 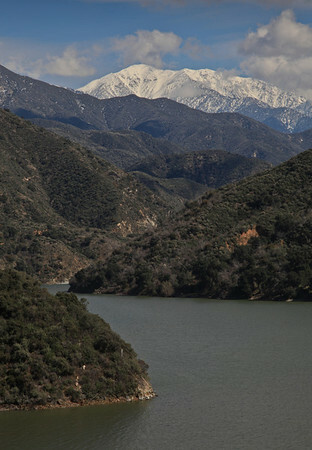 Angeles National Forest, California. 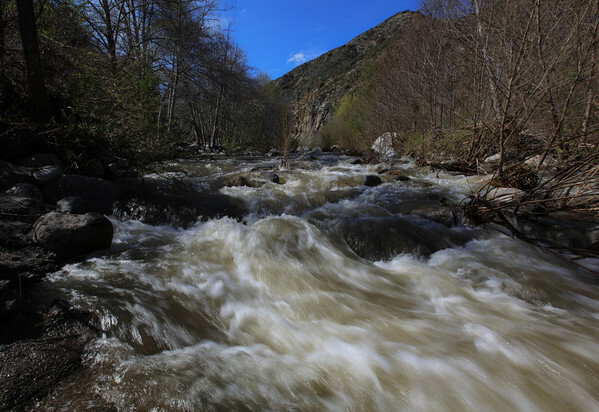 Rushing winter water in the Angeles National Forest, California. The snow-covered Mt. 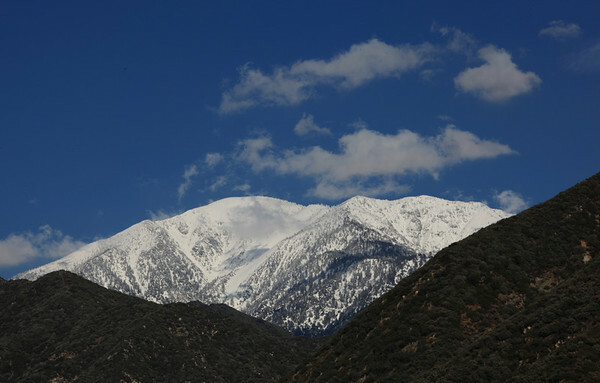 Baldy peak in February, 2011. Angeles National Forest, California. 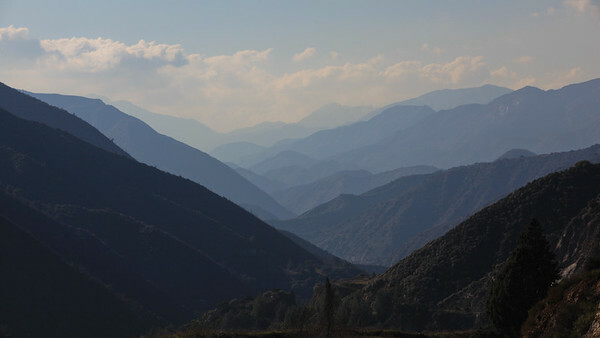 A hazy February day in the San Gabriel Mountains, Angeles National Forest, California.